Gun vault pistol safes are truly premium products that set the standard for the rest of the industry. Our patented no-eyes keypad and biometric pad provide lighting-quick access, even in the dark. Choose the Micro, Mini, multi or bio Vault when you need quick access storage for your handgun. 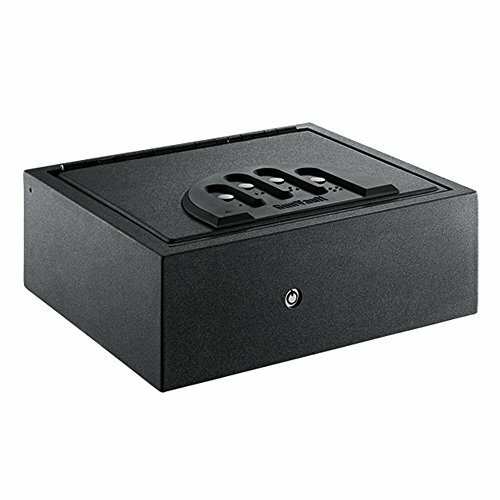 We know that security and reliability are prevailing priorities when you need our products, and that's why gun vault pistol safes have the features you want: improved high strength lock mechanism. Precise fittings virtually impossible to pry open with hand tools. Over 12 million user selectable access codes available. Audio feedback instantly confirms correct keypad entries. Audio disable feature allows "Stealth" mode operation. Battery power for maximum security and easy portability. Tamper indicator notes invalid entry attempts. Built in computer blocks access after repeated invalid keypad entries. Gun vault biometric technology: gun vault bio uses biometrics, specifically fingerprint recognition, to access the safe contents. A high-performance Algorithm is used to achieve speedy identification of enrolled fingerprints; and at the same time has a very low false reject rate (for) for a given false accept rate (far). this self-learning Algorithm of the gun vault bio adds new minutiae to the fingerprint Templates each time a user touches the finger print sensor, which decreases the likelihood of for, updates slight changes that might occur over time to an enrolled fingerprint, as well as to help distinguish variations. System can handle a maximum of thirty fingerprint Templates between the enrolled fingerprint.